Made from high quality aerospace aluminum light weight material to protect your laptop. Specifically design for hands and arms natural position. Adopting innovative fluid bearing technology, the fans spin in higher rate and at the same time it's very quiet. The USB port from your computer is used to power the fans, but the USB connector also acting as your USB Port extension. Support up to 15" Laptop size. DURABILITY - Made from high quality aerospace aluminum light weight material to protect your laptop. ULTRA QUIET FANS - Adopting innovative fluid bearing technology, the fans spin in higher rate and at the same time it's very quiet. The Position of the fan can be arrange to your need. WORRY FREE USB PORT - The USB port from your computer is used to power the fans, but the USB connector also acting as your USB Port extension. 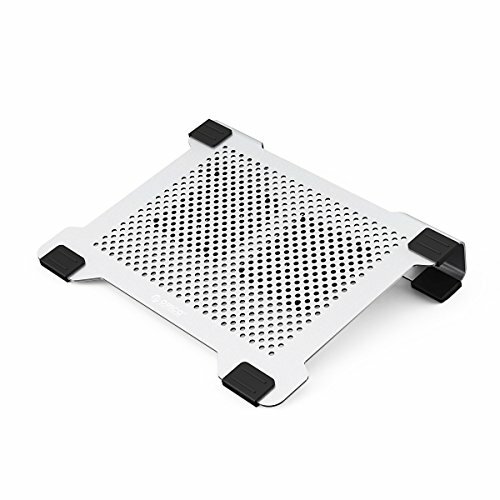 LAPTOP SIZE SUPPORT - Support up to 15" Laptop size.